We’re excited that Ruggie Wealth Management Founder and CEO Tom Ruggie, ChFC®, CFP®, has been named to Barron’s 2018 list of America’s Top 1,200 Advisors, the sixth time he has earned this distinction, and fourth in a row. 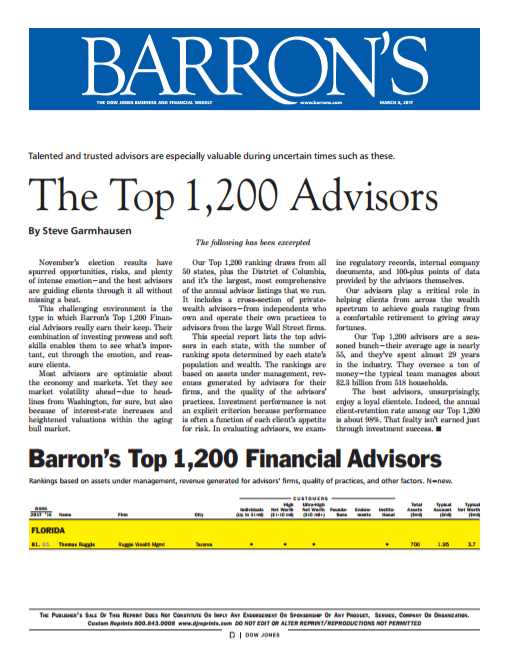 Barron’s publishes its annual Top 1200 Advisors by State compilation to recognize advisors demonstrating exceptional performance, professionalism, client service and community involvement, and the ranking recognizes both an elite group of independent financial professionals and large wirehouses. Among the factors the ranking takes into consideration are quality of practice, assets under management, revenues, and philanthropic work. 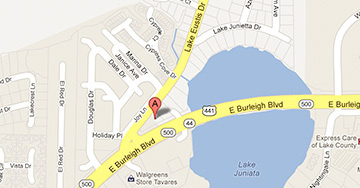 Tom is the only Barron’s recognized advisor in Lake, Sumter and Marion Counties.